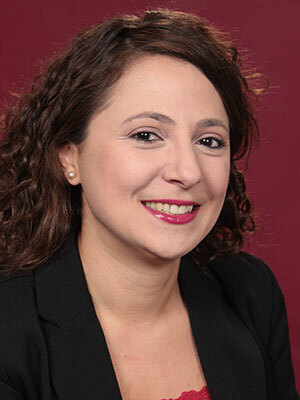 Prior to joining UNM in July 2017, Eirini Eleni Tsiropoulou was a postdoctoral researcher at Institute for Systems Research, Department of Electrical and Computer Engineering, University of Maryland (6/2016-6/2017), a Senior Research Associate at the National Technical University of Athens (5/2014-12/2015) and a visiting scholar at the University of Texas at Dallas (1/2016-6/2016). Her main research interests lie in the area of wireless heterogeneous networks, with emphasis on optimization and resource allocation, smart data pricing and network economics, game theory, Internet of Things and cyber-physical systems. Two of her papers received the Best Paper Award at IEEE Wireless Communications and Networking Conference (WCNC 2012) in April 2012 and at the 7th International Conference on Ad Hoc Networks (ADHOCNETS 2015) in September 2015. In 2017, she received the first Susan Frazier Postdoctoral Researcher Travel Award towards representing ISR, UMD to international prestigious conferences. Eirini-Eleni Tsiropoulou was named by the IEEE Communication Society - N2Women as one of the top ten Rising Stars of 2017 in the communications and networking field. She has actively participated holding leading roles in several research and development proposals and projects funded by the European Commission, in the broader area of autonomic wireless networks, optimization in future internet architectures and multimedia content delivery systems.